The American Girl doll company now offers hearing aids for their 18 inch doll models only through their Doll Hospital. Thanks to Tampa Bay ENT who shared this information. 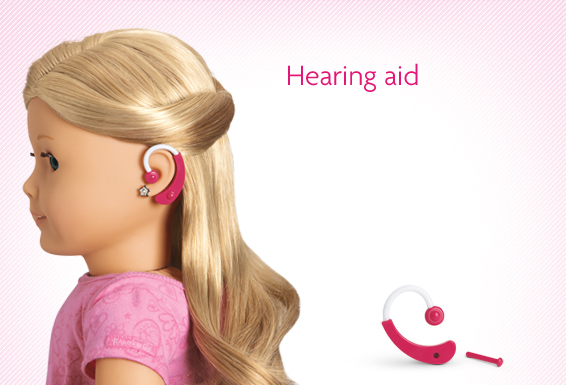 Unlike humans who are able to obtain many different styles of hearing aids, only BTE (behind-the-ear) style is available for American Girl dolls. Interesting, the medical services offered through the Doll Hospital is MUCH more impressive than what can be offered for humans. Services beyond hearing aids include new heads, new bodies, eye replacements, and limb replacements. Though we do not offer hearing aids for American Girl dolls, we do offer the full array of hearing aids (selling, repairing, adjusting) for humans from Oticon, Phonak, and Widex.